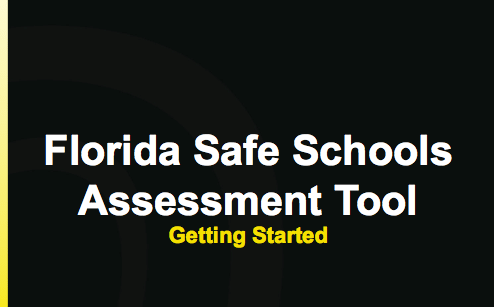 Earlier this month, the Department sent out a memorandum with information on the Florida Safe Schools Assessment Tool (FSSAT) and on the webinars scheduled specifically for charters to provide them guidance on the FSSAT. That schedule, along with information on registering for the webinars, is below. If you have any questions, please contact state FSSAT administrator Sylvia Ifft at (850) 245-5121 or sylvia.ifft@fldoe.org. This training is intended for charter school FSSAT points of contact. It will cover the requirements under the Marjory Stoneman Douglas High School Public Safety Act to complete school security risk assessments as well as instructions on getting started with FSSAT. This session will be a repeat of the May 8th and 10th sessions for those who were unable to attend. This training is intended for District School Safety Specialists, district, and charter school FSSAT points of contact. It will cover the requirements under the Marjory Stoneman Douglas High School Public Safety Act to complete school security risk assessments and instructions on getting started with FSSAT. This training is intended for charter school FSSAT point of contact. It will cover the completing, finalizing, and submitting the school security risk assessments in FSSAT. This session will be a repeat of the May 22nd and 24th sessions for those who were unable to attend. This training is intended for District School Safety Specialists, district and charter school FSSAT points of contact. It will cover completing, finalizing, approving and aggregating data from the school security risk assessments in FSSAT.